Oil prices fell to one week lows ahead of this week’s inventory data as rumors about a possible OPEC output cut extension failed to impress the markets. • The removal of the crude oil export ban in the U.S. in late 2015 led to a sharp increase in exports, particularly in the latter half of 2016. • Higher levels of exports smoothed out some regional oil flows, causing the spread between WTI and Brent to narrow. The WTI discount, which was almost as large as $5 per barrel in 2015, made U.S. oil more attractive, leading to more exports. As exports increased, that discount started to disappear. • With U.S. oil production rebounding in the fourth quarter of 2016 and into this year, the discount has widened again. • Chevron (NYSE: CVX) said that it would end new major LNG export projects in Australia, and probably would not give a greenlight to expansions of its existing Gorgon and Wheatstone terminals, two gargantuan LNG projects that suffered severe cost overruns. • Marathon Oil (NYSE: MRO) agreed to purchase 21,000 acres in the Permian from Black Mountain Oil & Gas and other private sellers for $700 million. The acquisition gives Marathon roughly 550 million barrels of oil equivalent in the hottest shale play in the world. • TransCanada (NYSE: TRP) has secured commitments from shippers for its natural gas pipeline from Alberta to Canada’s Pacific Coast. The North Montney Mainline pipeline would take gas from the Montney shale in Alberta to Petronas’ LNG export terminal in British Columbia. TransCanada has not made a final investment decision yet but is moving forward with the permitting process. Oil prices seesawed a bit to start off the week, awaiting news from the EIA on changes to crude oil inventories. 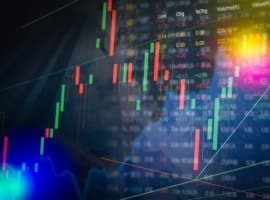 After a sharp decline in prices two weeks ago, WTI and Brent have been hovering in a relatively narrow range – WTI in the upper-$40s and Brent in the lower $50s. That continues to be the trend this week. OPEC leaning towards extension. OPEC sources told Reuters that the group is increasingly leaning towards a six-month extension of its production cuts. However, one major hurdle will be keeping Russia and other non-OPEC countries on board with the reductions. "An extension is needed to balance the market," an OPEC delegate told Reuters. "Any extension of the cut agreement should be with non-OPEC." Another OPEC source agreed that non-OPEC countries are necessary. "The ministers will meet in May to decide, but everyone has to be on board." Russia says it will meet cuts by April. Russia has not yet met its production cut requirements under the OPEC deal, but Russian officials said that they would meet the promised 300,000 bpd reduction by the end of April, and keep output at that level for the duration of the deal through June. Astute readers might note that Russia would still fall short of its pledge, which was to keep the six-month average 300,000 bpd below October levels. Reducing by 300,000 bpd for only three months is not exactly the same thing. Speculators reduce bullish bets. Hedge funds and other money managers recently slashed their bullish bets, achieving the sharpest reduction in net-length on record. The liquidation of bullish positions will continue to put downward pressure on prices. Oil prices are now in a bearish trend and there is still a great deal of downside risk. Shell to cut offshore drilling costs. Even as Shell and other majors pursue shale, the WSJ reports that Shell is also trying to pioneer offshore drilling at a fraction of the cost. Shell is hoping to squeeze oil out of existing offshore wells, while cutting the time needed to bring new projects online. The major will also focus on only the most profitable projects, and will pass on complex and tricky ventures. Shell believes it can be profitable with oil trading at $60 per barrel, as it has cut drilling costs by 50 percent and drilling times by 30 percent. Exxon’s Guyana discovery causes tensions. Exxon will spend billions on developing its major discovery off of the coast of Guyana, making the northern coast of South America one of the most exciting new plays in the world, along with West Africa and the Eastern Mediterranean, according to Wood Mackenzie. 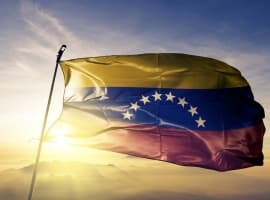 But as the FT reports, the multibillion-barrel potential in offshore Guyana is sparking tensions with neighboring Venezuela, which also claims the territory. Myanmar-China pipeline set to start up. A 260,000 barrel-per-day pipeline traversing Myanmar is on the verge of beginning operations, taking oil from the Bay of Bengal to China. The pipeline is part of China’s “One Belt, One Road” strategy, a long-term plan to link China with Central Asia through a series of infrastructure and trade projects. The pipeline will help China obtain a substantial volume of oil while bypassing the Straits of Malacca. The pipeline’s capacity will eventually rise to 400,000 bpd, or about 5 percent of China’s imports. U.S. gasoline consumption to fall over time. New research from Wood Mackenzie finds that U.S. gasoline demand will steadily decline for years to come, dipping by 1.7 million barrels per day by 2030. 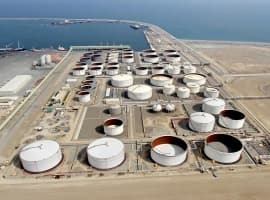 That will mean that U.S. refiners will have to increasingly export refined products, fighting for market share in Asia, where demand will still be strong. Dakota Access could come online this week. It’s been a tumultuous journey, but Energy Transfer Partners (NYSE: ETP) could see oil begin to flow through its Dakota Access Pipeline as soon as this week.